On to today’s post. 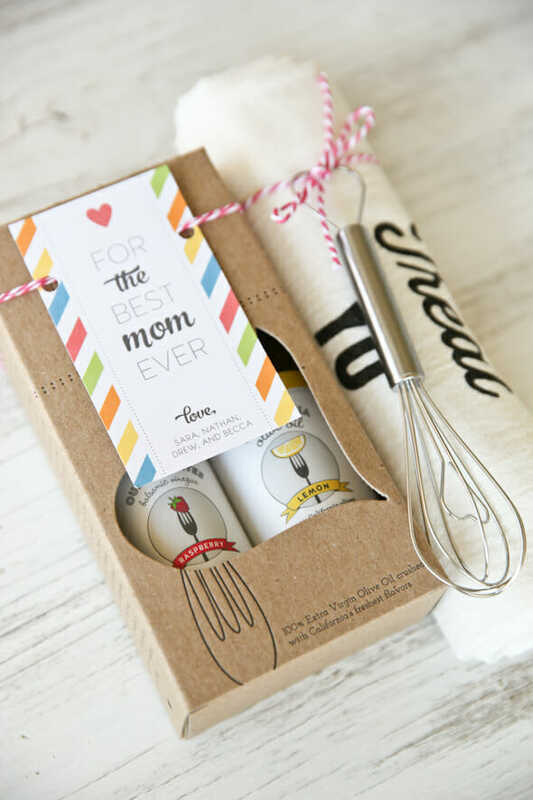 Our Customizable Holiday tags were such a huge hit that we thought we’d partner with The Little Umbrella again for a set of Mother’s Day tags! 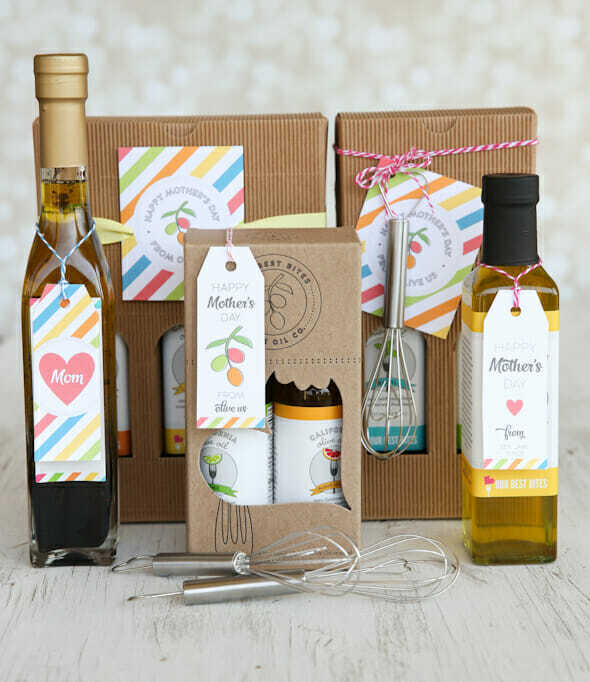 A few of these are obviously designed to pair perfectly with our Olive Oil, but there are also some that can be used no matter what you’re gifting the lovely ladies in your life! 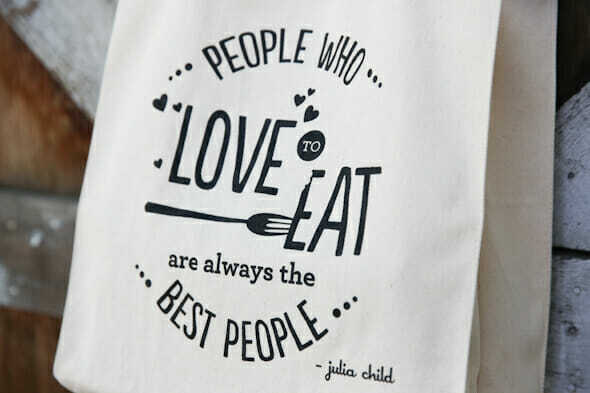 We love anything and everything that comes out of the Little Umbrella, and these are no exception. Look how darling! If you’ve never played around with these Customizable Tags before, you’ll have so much fun. 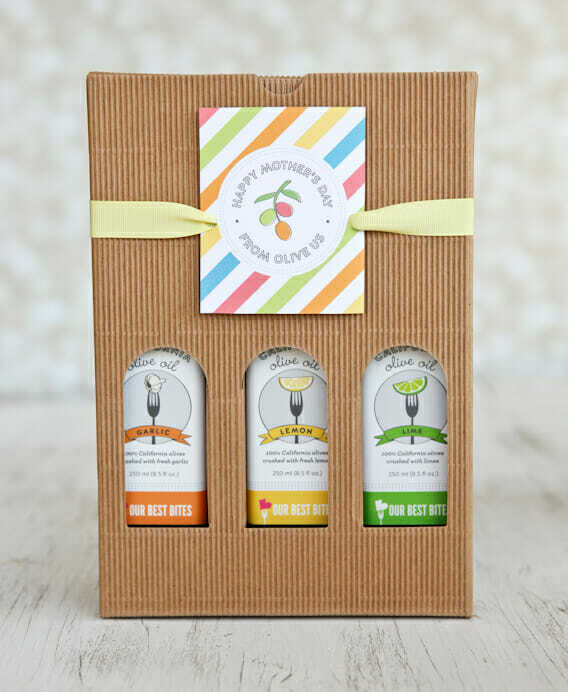 Every color on these tags can actually be hand-picked by you! You can make them to match anything, see the preview of what you’ve created, and then print from home (did we mention for free?). You also type in the fields saying who the tags are from, and you can do each tag differently if you want. 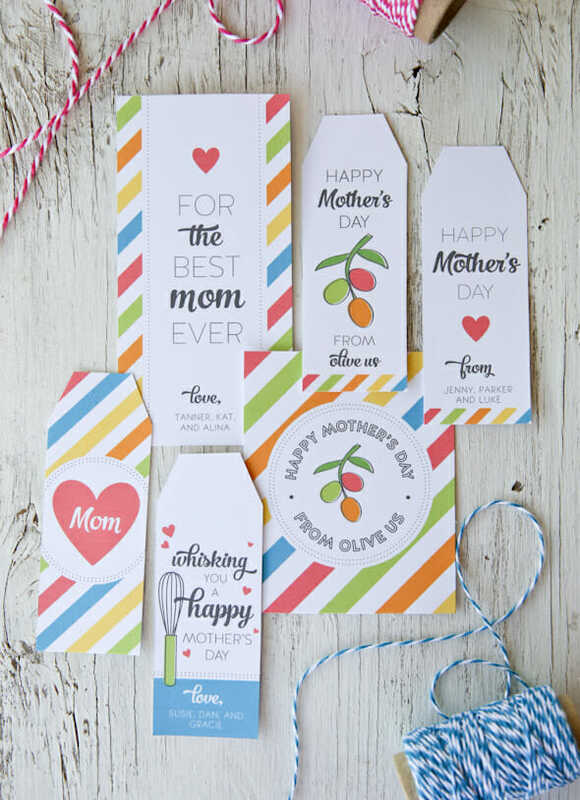 It’s so much fun- and these tags are perfect for all of the goodies from our shop that are currently headed all over the country! This 2-pack bundle is the best deal in the Shop, especially with the sale right now. And we are so happy that you all have been loving our new Letterpress Boxes as much as we do! The darling tags look great on anything. And my favorite might be the this one! Hundreds you ordered these whisks, so I’m guessing this will be a popular tag! 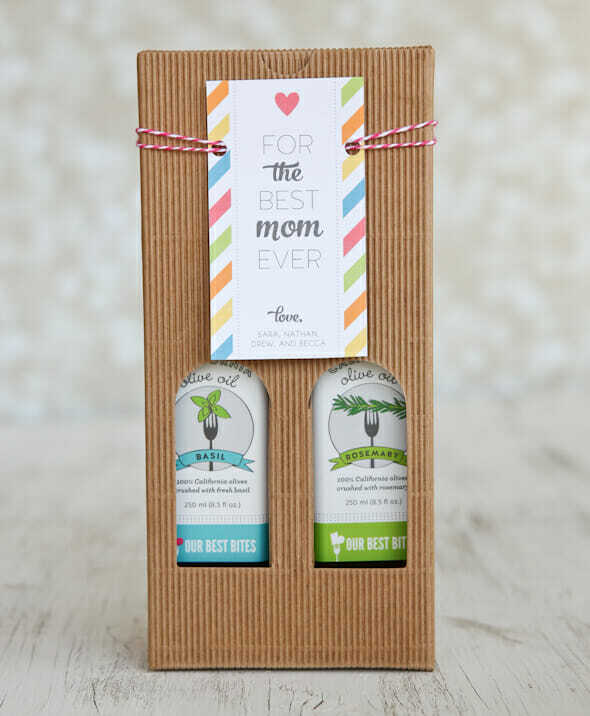 The tall skinny ones fit perfectly around a bottle of oil, but they’d also be darling on a box of chocolates or tied onto a pretty box. Head over to The Little Umbrella and play around with it! Print off a page or two just to keep on hand! And pssst… no matter what you’re gifting the women in your life, our cute Tote bags make a really awesome gift bag. They’re less than 13 bucks right now when you use the discount code: MOM in the Shop! Please remember to leave a note in the note section if you are sending gifts! Hope you enjoy the cute tags, thanks to The Little Umbrella for partnering up with us again! Snap a picture of your cute gifts and tag us on Instagram so we can see! 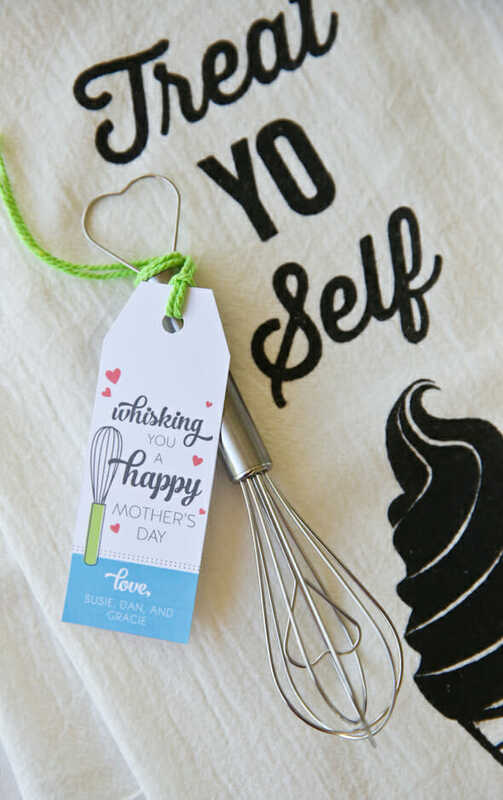 Click here to download your free Mother’s Day Printable tags! Not trying to be a pain, but when I use the MOM coupon on the website, it tells me that it’s expired 🙁 It’s 4/24 8:30 EST. So not a pain! Sorry about that- not sure what happened but it’s fixed! Just tried to order and the coupon says it is expired! Help! Sorry, not sure what happened- but it’s fixed! These are super cute! 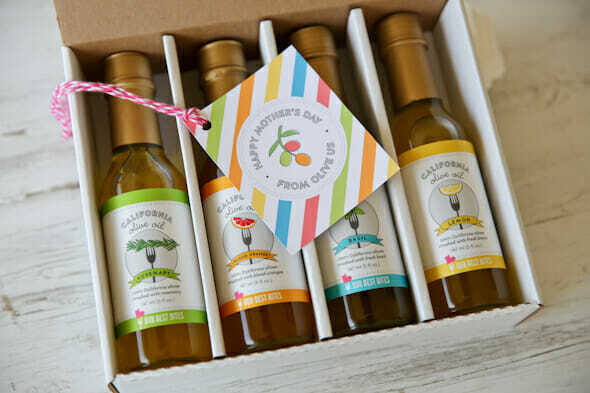 I am hoping you will have a similar version for Father’s Day; my husband is way more into to gourmet oils than I am, and they would make a great gift for him. I was able to order some oils and a cute whisk for my Mom. She is in another state so I think I will include one of these tags in a separate card. Thank you so much for the discount, every bit helps the budget. Happy Mother’s Day Kate and Sara!